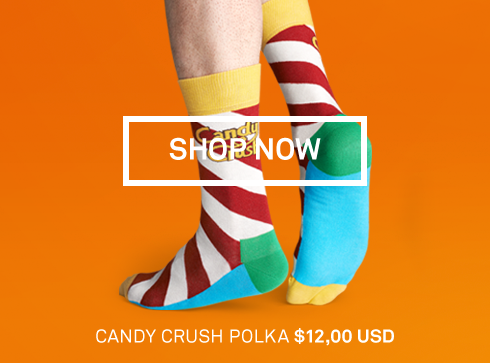 Happy Socks: Discover HappySocks.com new Underwear Collection! They are the most comfortable and fashionable socks out there on the market! They have also expanded to Boxers and Briefs for men, and Ladies’ Briefs too. Happy Socks has a huge assortment of colors and patterns perfect for anyone with an affinity for fun, snazzy socks! Check out their Limited Edition Sets! They feature Collaborations with MineCraft, Robert Rodriguez, Mike Snow, and even Candy Crush! We’re claiming mornings in the name of happiness! Make your first choice of the day a happy one, and step into a colourful pair of Happy Socks underwear. With a selection of comfortable styles in fun patterns, you’ll feel great from the moment you open your underwear drawer! What are you going to put in your cart? What do you think about HAPPY SOCKS? ← Julep: The Entire Zodiac Collection is here!